It is known to all that anyone can start a blog any time with any subject matter but it very hard to make a blog successful.Only a few bloggers know that how to make a blog successful.Traffics or visitors or readers is the main factor to become a successful blog. Today I am trying to find out the key characteristics of a successful blog.My finding says that a successful blog is one that is fun and enjoyable for its visitors and readers.Here are the Top Ten Characters Of A Successful Blog Are Effectively Needed. It is known to all bloggers that awesome content are the backbones of all blogs.When a blogger is able to show the readers with unique and high quality content they become loyal number one fan.The most important thing about content is that it must be real time and informative.So good content may be become evergreen to readers and it is beneficial to the readers. 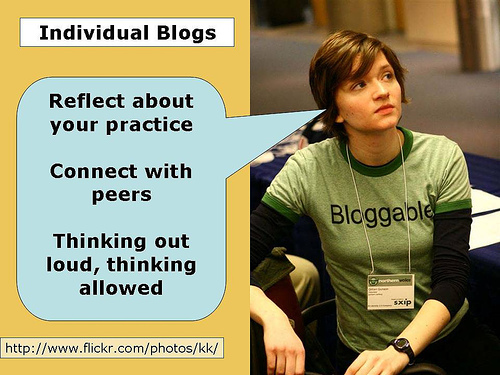 Blog articles must follow the easy and simple expressing methods as common users to internet savvy can understand very easily.Too much is as bad as not enough.If the reader ca n’t understand what it is blog post is trying to say then they would n’t revisit the blog.So simple,easy,normalcy are another character of a successful blog. It must have the easy way to reach the author with any hassle and puzzle.This can be done through a contact form,just remember to have it feed to an email that check regularly.Timely response is very important factor for successful blog. Author or writer profile page is one of the very important factor of a successful blog. Profile or about us page provides clear information about the author and the blog.It will help the readers to understand the author and his/her mentality. Design of a blog allows the users to think a lots when they visit the blog.The default color of a blog may not be suitable with the blog niche so make a difference with perfect niche. Easy navigation makes a blog more perfect as visitors never feel boring. All the menu buttons should not only link to important pages but they must work. Normally the readers are expecting a few recommend from the blog author as those are useful information and other sites.Author recommendation never be over smart or bad one which can counteract all the hard work and destroy the blogging success. It is a better way to attract readers by offering them some kind of free product or promo product(s).Such as offering is e-books, free advertising space,or a free subscription etc. Almost all the social media allow the blog or website or company to create their social media brands.It will help to create a loyal readers communities in those social media.So allow the readers to easy share button to the social media as other can easily find the informative articles. It is seen that a few bloggers use a lots of advertising in their blog and some time the advertising can causes for readers boring.I am not going to say no monetization is needed.Just remember to do this in a way that would n’t turn readers off or boring condition. Some other characters are track the blog,real link juice,high PR backlinks,guest author and many more.If those characters are available in any blog then there is no doubt that it will be a successful blog with in very short time.As practical experiences says that there are a lots of such blogs those get success with in 6 moths to 12 months.